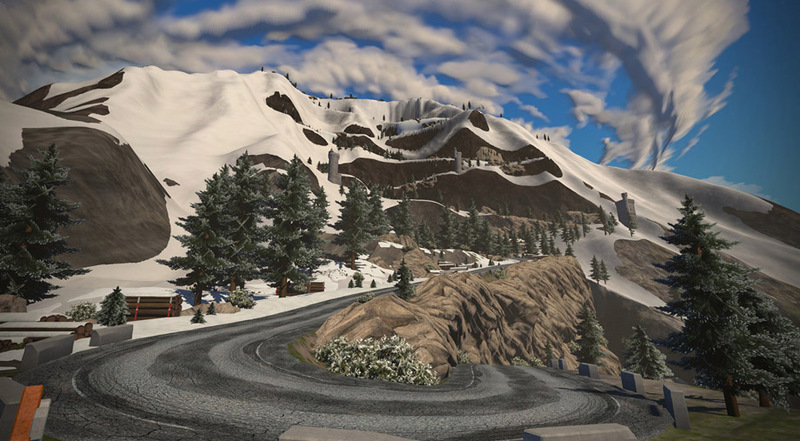 Alpe Du Zwift will bear more than a few similarities to one of the most famous climbs in cycling, Alpe D'Huez. However, while the terrain mimics the French giant, we have given the climb a distinct Zwift twist with numbered switchbacks and gaming twists that'll keep folks engaged as they climb upwards. Alpe Du Zwift will be a fantastic training tools for those preparing for gran fondos or long distance events. For many people, this will be the only way to simulate climbs of one hour or more in length.